3,500 prime lots gather together in this latest auction. From planetary references to future icons, here are some of the highlights in this catalogue. We couldn’t present this auction and not mention the winemaking region of the moment. Yes, everyone’s talking about the Jura and its fine Vins Jaunes are becoming hugely sought after. 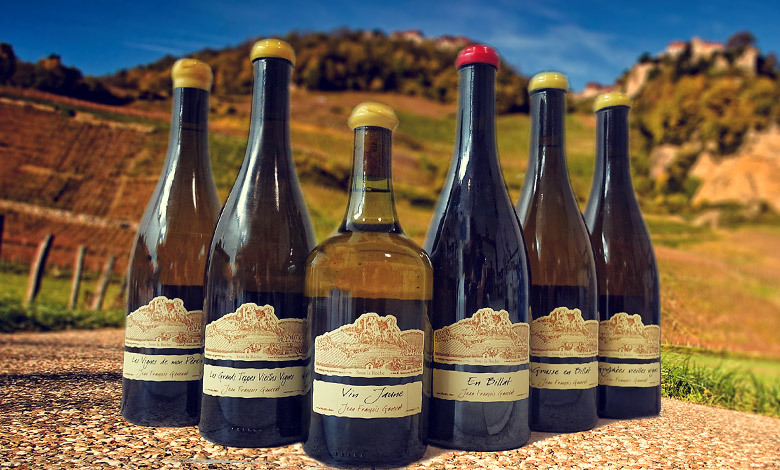 You’ll find, in this catalogue, a sumptuous selection of Côtes-du-Jura from Domaine Ganevat not to mention Château-Chalon from Macle and Tissot and the Vin Jaune and Arbois from Puffeney. Head south, to the Rhône, where the finest vintages are well represented. 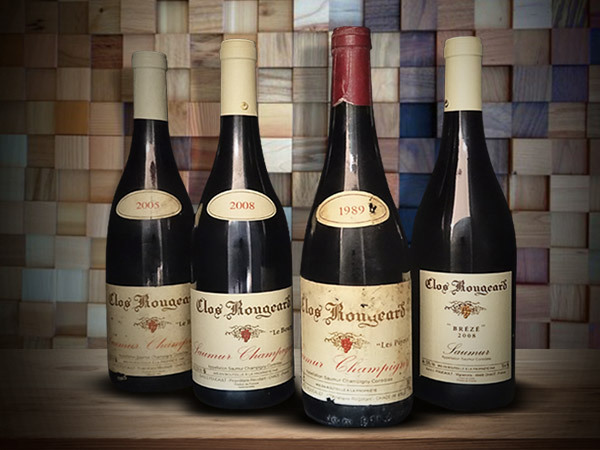 Amongst the divine Châteauneuf-du-Pape 1999 and 2005 from Château Rayas are the stars of tomorrow such as the Cornas from Auguste Clape (2011, 2012 and 2015) and the hard to find Cornas-Reynard from Thierry Allemand. From the Côte-Rôtie you’ll find the legendary LA-LA-LA trio from Guigal (2005) and the Hermitage from Jean-Louis Chave (2005 and 2018). The ultra-rare Vin de Paille 1990 from Chave is also up for bids in half bottle format. Gonon is another hero of this region whose cuvées, both red and white, offer interesting prices, as do those from Domaine Gangloff. We highly recommend exploring the Côte-du-Rhône 2015 from Charvin and the Châteauneuf 2010 from Domaine de Marcoux, you won’t be disappointed! 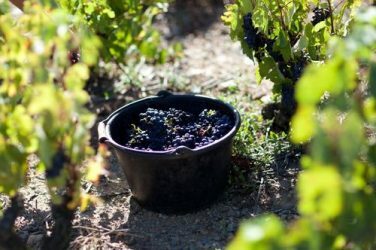 Burgundy also unearths its treasures to propose the fabulous Chambolles Les Amoureuses from Domaine Roumier (2014 and 2015), the Grand Cru La Tâche from Domaine de la Romanée-Conti (2011) and the Vosne-Romanée 2015 from Domaine Dujac. This auction also features the Echézeaux 2002 from Domaine René Engel, a vintage produced before this domaine was bought by Artemis. Some old vintages, such as the Montrachet 1982 from Domaine Comte Lafon and a Clos-de-la-Roche 1976 from Domaine Truchot let you journey back in time. The Chablis from Raveneau and Dauvissat, as well as the various Mazis-Chambertin from Domaine Flaiveley will surely chat your attention also. Some of our recommendations include the wonderful Les Gaudichots cuvée from Bruno Clavelier and the Gevrey-Chambertin Clos-Saint-Jacques from Sylvie Esmonin. The selection from Bordeaux is just as scintillating. Big names in big vintages are, of course, present (Lafite-Rothschild 2010 in bottle and magnum format, Petrus 1985 and 1988, Cheval Blanc 1990 and Yquem 2001) as are big bottles (you’ll find a jeroboam and balthazar of Château Pibran). This catalogue also features a Caisse Carré: 4 bottles each of Petrus, Margaux Latour and Haut-Brion in the 2000 vintage. Loire enthusiasts will enhout the numerous examples of Saumur and Saumur-Champigny from Clos Rougeard as well as the magnificent Vouvrays from Clos Naudin and the Silex from Dageneau; Let yourself be tempted by the Chinons from Charles Joguet or a Sancerre from François Cotat. As for Champagne, the selection is truly vast. How about a Blanc de Blancs from Ruinart in the 1985 vintage? If you’re looking for non-French wines you’ll find some sumptuous Australian Cabernet-Sauvignons and Argentinian Malbecs, not to mention many splendours form the Italian vineyard.